Did you follow our First Resource post, what is next? Will Indofood follow the same turn around pattern? 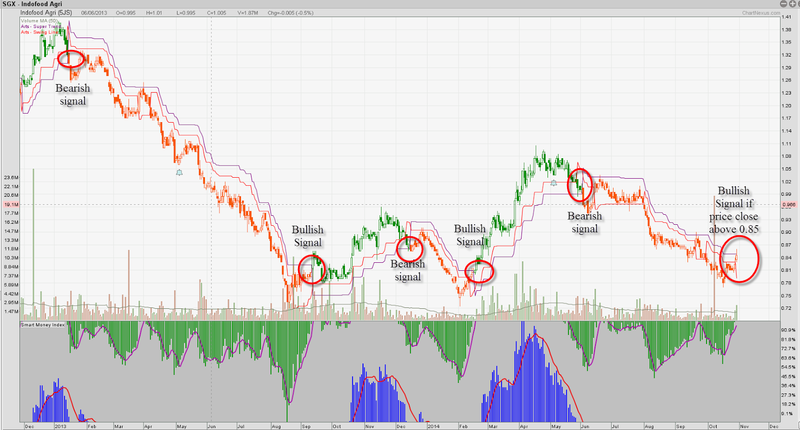 Our ART Supertrend system has shown very reliable signal of bullish and bearish trend. Since 2013 till now, it seems like 100% accuracy on Indofood, this show that the stock is very trending stock, good for trend followers to get in and get out safely. Our chart is showing the resistance is currently at $0.85, if can break and close above this resistance level the system will show a bullish signal.